If you have spent any amount of time researching better practices in diabetic foot care you’ve probably found that wearing the right shoes and socks can help. You probably know that wearing wide diabetic slippers or house shoes is very important and you also probably know that wearing deep depth shoes can help accommodate the diabetic insoles that many feet require. But even as you do all of these things one of the most important things you can do for your feet is to treat foot problems like diabetic foot ulcers seriously and stop them from advancing at their slightest sign of formation. The simplest way to describe what diabetic foot ulcers are is to describe what happens when someone is wearing a shoe and feel a pressure point. In feet that are normal (i.e neuropathy in feet doesn’t exist) when a pressure point is occurring on the foot the foot naturally and instinctively moves, or adjusts to relieve some or all of the pressure. This means that for shoes which are rubbing a foot the wrong way a normal foot would adjust in a shoe so that the pressure point or spot of irritation is minimized or eliminated. In people with advanced stages of diabetes many of these pressure points go completes unnoticed due to the effects of peripheral neuropathy and the foot does not adjust to the pressure points that a shoe is putting on the foot. This can result in either the slow and gradual deformation of the foot as joints are realigned and some small bones are even cracked or it can result in sores developing on the skin of the foot. This can result in exterior wounds which need to be cared for. Unfortunately in many diabetics these wounds can balloon out of control as poor blood circulation can make for very difficult healing. As wounds increase in size and get infected they ulcerate and continue getting worse and worse. Diabetic foot ulcers can get so bad that amputation is nessesary and they are almost always the result of a simple cut, scrape, or puncture that a non-diabetic person would hardly give a second thought about. 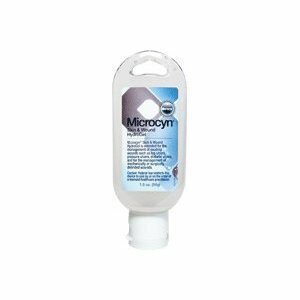 The Microcyn Skin and Wound Hydrogel is intended for the treatment of diabetic ulcers, other major wounds, and burns. The best ways to treat diabetic foot ulcers and sores is to prevent the pressure points and sores from happening in the first place. Because the sensation is limited in many diabetics with advanced stages of diabetes many people simply can’t feel if a shoe fits right. Even the best diabetic shoes may not fit right and a person with diabetes wouldn’t know the difference. To ensure that the proper shoes are worn and that damage is limited or eliminated diabetics really should have their feet molded so that insoles can be created with the exact foot contours for the individual. These insoles can be expensive and sometimes quite large but they can also make walking around an easier task… and as most diabetics know activity is one of the best ways to manage blood sugar levels and improve one’s chances of living a long and fulfilling life. When insoles are created even deformed feet can fit into shoes without any pressure points or spot of irritation. Of course a diabetic will still need to wear the best diabetic socks on the market as well as shoes that will help them stay active but this is beside the point. Aside from ulcer prevention a diabetic person needs to treat diabetic foot ulcers as part of a larger diabetic management program led by the patient’s doctor. Usually this involves the prescription of antibiotics, medicinal and topical, as well as proper irrigation of diabetic wounds and general foot care. People with diabetes have to be constantly checking their feet for foot wounds or potential problems. This sometimes means removing shoes every few hours and can even require some diabetics to have a loved one check their feet for them as it can be physically difficult for some patients. Another major treatment option for foot ulcers is a complete change in your lifestyle. Most foot wounds that don’t want to heal occur because the capillaries in that area of the foot are clogged or have shrunk. This tightening of the small blood vessels in the feet can result in diminished blood flow making healing very difficult. Antibiotics are delivered via the blood stream as are white blood cells. If neither of these can get to the wound then the wound will likely persist. 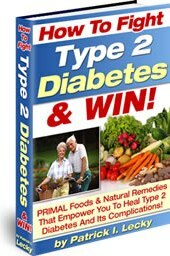 To better treat these diabetic ulcers one has to improve their peripheral blood flow. Diabetic feet need to experience better blood flow and that can only happen as the person becomes healthier, lowers cholesterol, and gets more active. Activity and lower cholesterol levels can usually slowly reverse the signs of poor peripheral blood flow and this can help healing in the feet where foot ulcerations occur. You can learn more about improving foot circulation here. This can help in improving your body’s ability to heal small ulcerations. Remember to wear diabetic walking shoes when you stay active as these are designed to better let you exercise without hurting your feet any more than they are already affected. Some of the best athletic shoes for diabetics include the entire lineup of wide new balance shoes and many of the Drew Diabetic shoes. These and many others can be found on Amazon for very good prices. You should also consider buying a diabetic wound care kit to help treat your diabetic foot ulcers topically so that going to the doctor is less necessary. After all, treating these ulceration before infection sets in is so important – especially when infections in the foot can lead to blood infection and amputation.